Lucky, Lucky Lady. 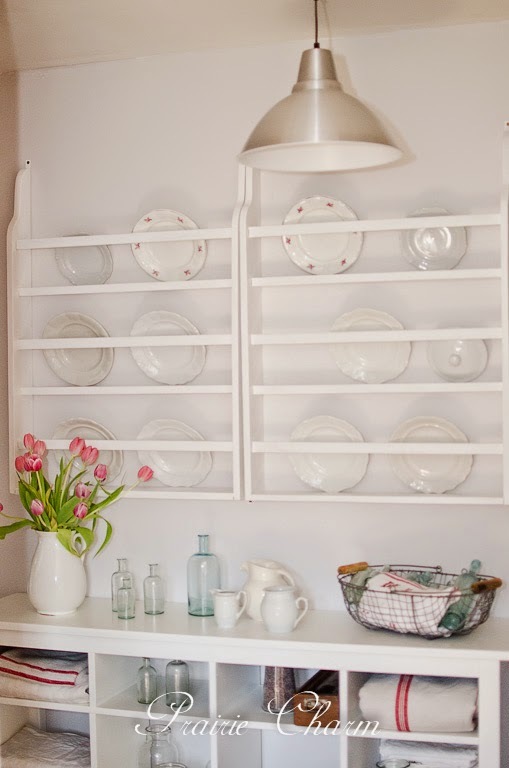 I have been wanting a plate rack for ages too. Looks to me like your hubby did a wonderful job making them for you. It goes so well in your room. Krása a pripájam sa k pochvale. Jednoznačne Marki a ďakujem za pochvalu ♥ A. 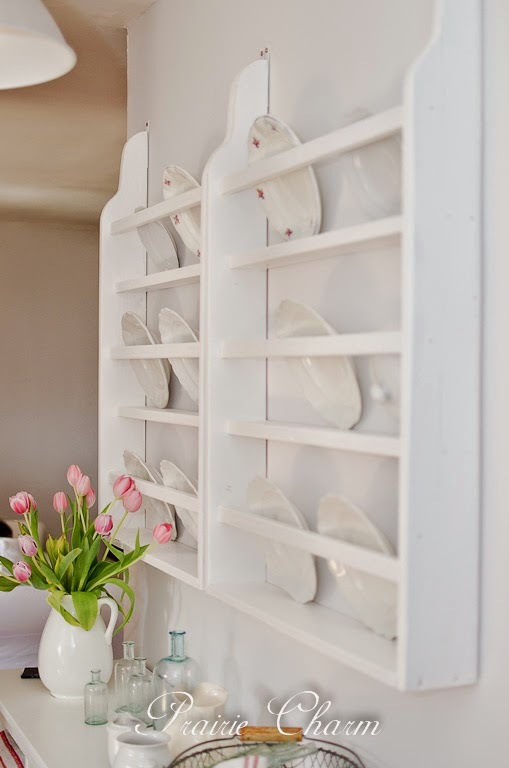 Your plate rack is wonderful...your husband did a great job making them! 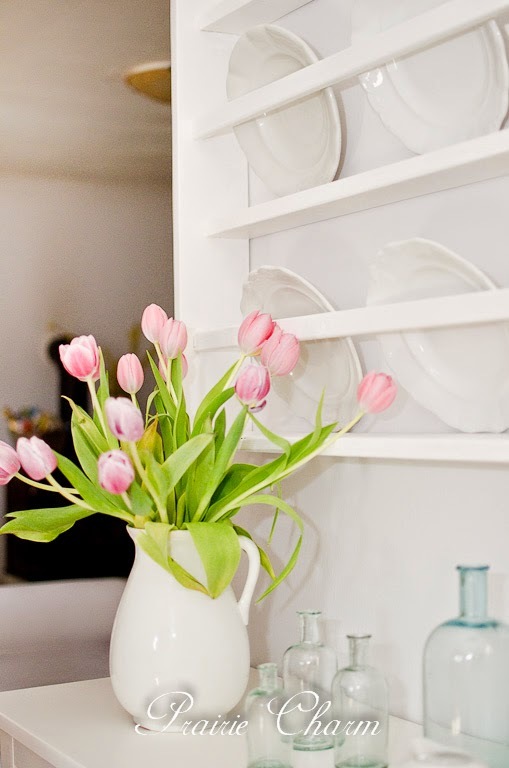 Love the white dishes you found to fill them up. Thank you Mary Alice! A.
Koľká krása!!!!! Potrebujem podobnú poličku, lebo som dostala ručne maľované taniere a nemám ich kam vystaviť. Dakujem Monika, vrelo odporucam si vyrobit vlastne :-) A. What a great idea to just build your own if you can't find what you're looking for. Love all your thrifty treasures too. Thanks for sharing at Vintage Inspiration Party. Hello Alexandra! 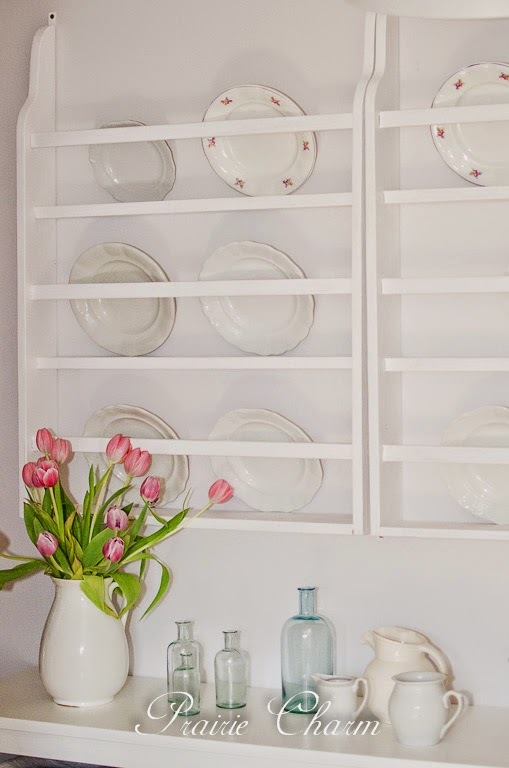 Your DIY plate rack and flea market plates are so lovely! 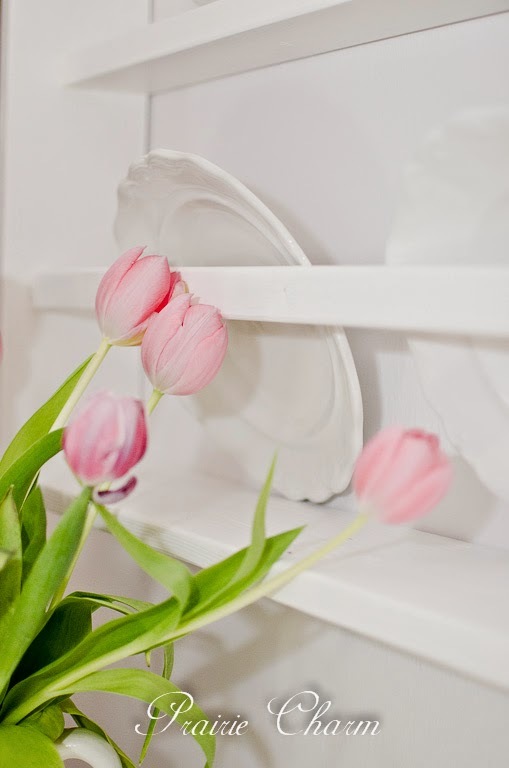 I love how the plates have just a hint of color and are so nicely arranged. 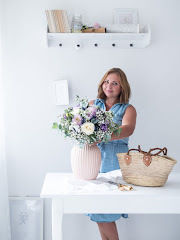 I've chosen your post as one of the features at this week's Shabbilicious Friday link party! Hope to see you there this week! Alexandra prekrásny odkladač a tie taniere a flaštičky a ľan ,všetko je také ľahunké, krásne to vieš ! čau e.
I love your plate rack! I wish I could have one but I am so limited on wall space because we have so many large windows. 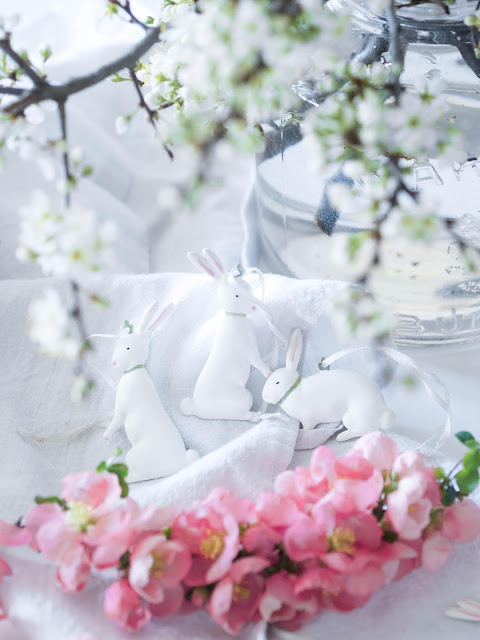 Looks wonderful in your home.